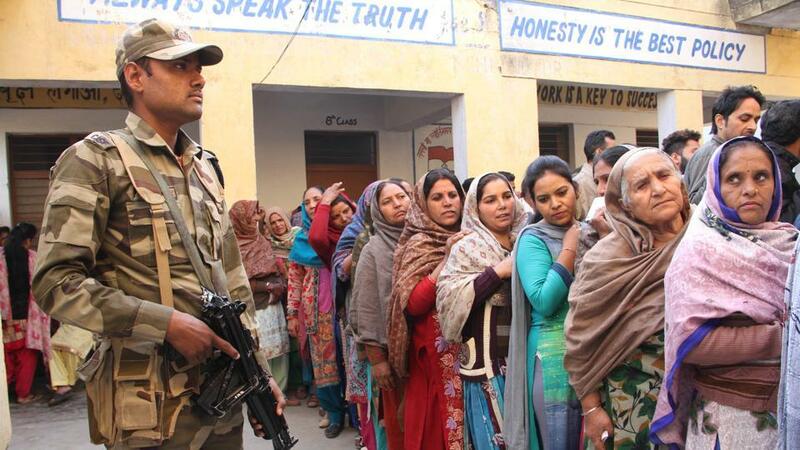 In Jammu & Kashmir Phase 1 Jammu and Baramulla Lok Sabha Constituency will vote. Demographics: This constituency consists of four border districts– Samba, Jammu, Rajouri and Poonch. According to Census 2011, Jammu has a population of 15,29,958. Residents, particularly of the border areas, often suffer shelling and firing. It is one of the more developed constituencies of the state with 50 percent of the population living in urban areas. Almost 25 percent of the population belong to the scheduled castes. HOW TO DOWNLOAD VOTER SLIP ? Step 2: Scroll down to search for ‘Search Your Name in Electoral Roll’ and click on it. You will be directed to a new page. In case your name does not appear after following the first three steps, it is likely that you are not in the voting list and you are not eligible to vote in the Lok Sabha election. Funny situation: Farooq Abdullah shook Modi’s hand and IGNORED Rahul Gandhi?